This is PicMill. It’s a quick little project I dreamed up in a few days at works. 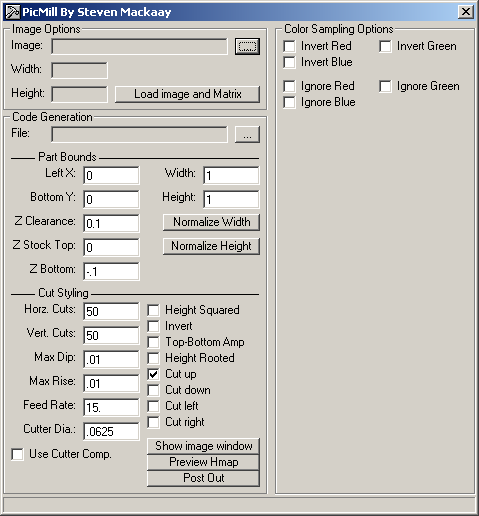 Basically what this utility does is allows you to take an image and output G-code to mill the image on to a flat surface. It allows for cutter compensation so that it doesn’t gouge due to a stray black or white pixel. This program may require a VB runtime module.